Research Pacific India has been addressing the needs of international Clients requiring client-friendly and quality led solutions throughout India since 1998. Run by a local team of career MR professionals we deliver what international clients need without over promising or corner cutting. We sell on quality not price cutting. 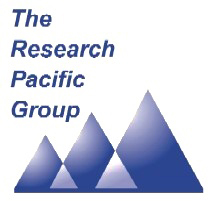 Research Pacific India has additional offices in Mumbai and Chennai and national field coverage using only its trustworthy local partners at sub-regional levels (due to language and cultural needs). Extensive coverage of rural India for agricultural, social and health related as well as the usual urban areas. Facilities include a 20 desk CATI hub for B2B and B2C research out of New Delhi. For qualitative research we have in house moderators (male and female) whom are highly experienced in many fields including automotive, IT medical, B2B & techno-industrial, HNW and lifestyle work, ethnographic visits and more. We also have sister companies in China, Hong Kong, Japan, Korea, Malaysia, as well as our Singapore management centre, plus a cohort of long term partners in Australia, Indonesia, Philippines, Taiwan, Thailand, Vietnam.